Introducing treadmill workstations to an office resulted in a smaller than expected but still significant increase in total walking time. Going into a soccer match with mild dehydration causes a big spike in cortisol after the game. Microscopic flowers of titanium dioxide degrade BPA. Falling in love has a massive effect on immune gene expression. Virtual reality can increase exercise tolerance and intensity. Episode 282: Dr. Michael Ruscio: Host Elle Russ chats with Dr. Michael Ruscio, a Bay Area specialist in autoimmune, digestive, and thyroid disorders. Thanks to genetic testing, “everyone will be potentially identifiable“—even those who never get tested. Will smaller pizzas stop obesity? The sad state of nutrition science. Should you be in bed? I wonder if robot bees will have stingers. Something tells me turning up the AC and ditching the free coffee wouldn’t go over very well in the office, no matter how valid the research. Great news: The American Diabetes Association and the European Association for the Study of Diabetes both officially approve of low-carb diets. Historical quirk I’ve always loved: The Chinese obsession with mangos during the Cultural Revolution. Essay I enjoyed: How low-ish carb makes sustainable dieting as easy as breathing. Instant Pot (recommended, not required) creamy tomato pesto soup. Filipino food deserves more attention. Try this chicken adobo recipe, and you’ll feel the same way. 7 Longevity Biomarkers to Track – What to watch. Enzyme Supplements: Uses, Suggestions, and Alternatives — Are they helpful? “Never saw the point of Zero. If I record that I started fasting at 20:00 and ended it at 12:00, Zero calculates that I have fasted for 16 hours. – Ha, Britalliano. I feel about the same, but I’ve talked to a number of people who really find it helps. 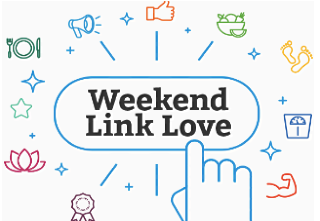 The post Weekend Link Love — Edition 525 appeared first on Mark's Daily Apple.